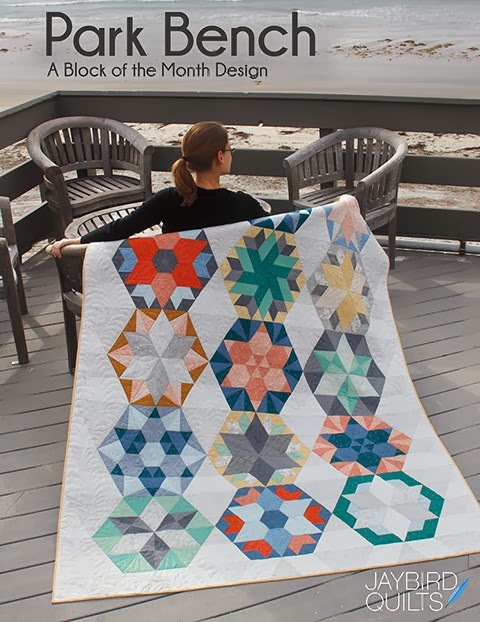 Look What You Can Make with my Kona Designer Series bundles + a Giveaway! I've got a special treat for all of the fans of my Kona Cotton wedding colors, you can now purchase Kona Cotton pre-cut bundles in the blues & greens that inspired our wedding palette! I made these projects to give you some ideas of how these colors play with my patterns. 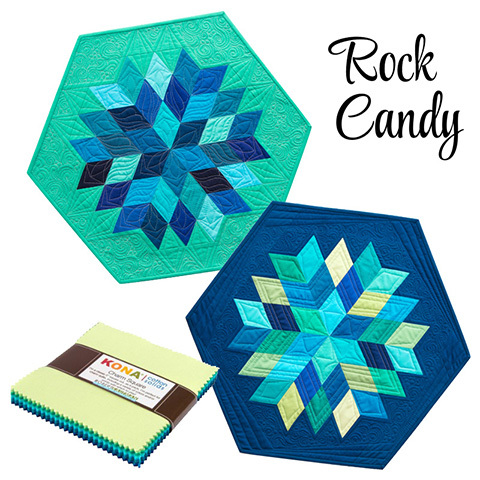 These Rock Candy table toppers are made with the Charm Squares and my Sidekick Ruler. Both of them were quilted by Angela Walters of Quilting is My Therapy. The background & binding fabric on this one is Kona Celestial. 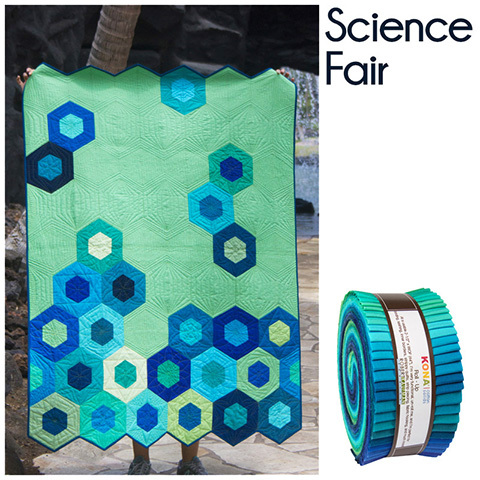 This lap size Science Fair quilt is made with my Hex N More ruler, it's Roll Up friendly & made with Kona Pistachio as the background fabric. The binding is Kona Celestial. 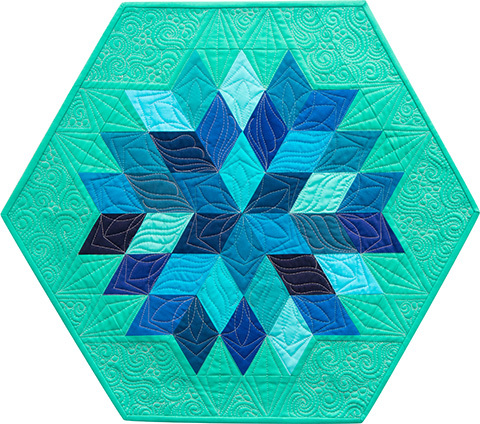 This was quilted by Angela Walters. 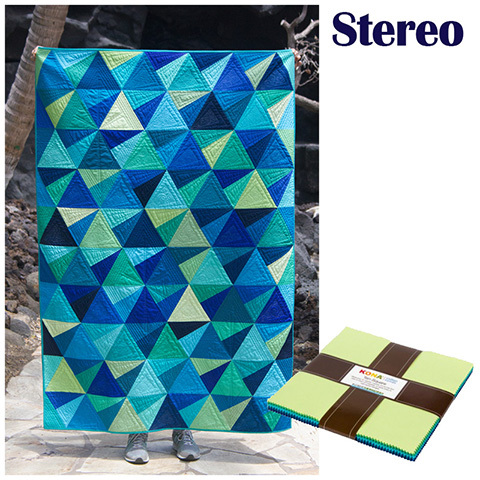 This is a lap size Stereo Quilt that is made with my Super Sidekick ruler & it's Ten Square friendly. 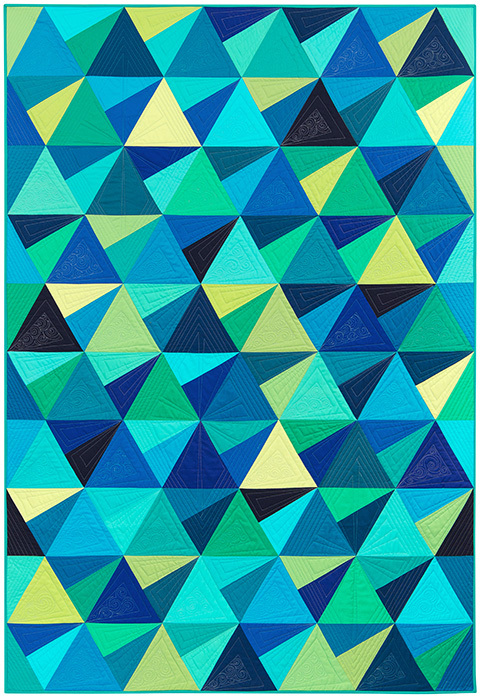 The binding on this quilt is Kona Jade Green and it was quilted by Angela. 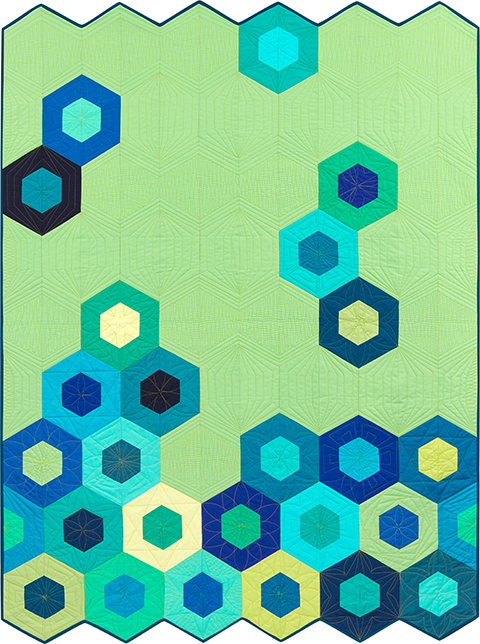 This lap size Splash quilt was made with my Hex N More ruler and it's Fat Quarter friendly. The binding is Kona Celestial, my tutorial on how to bind 120-degree angles is helpful to reference for binding this quilt and it was quilted by Angela. 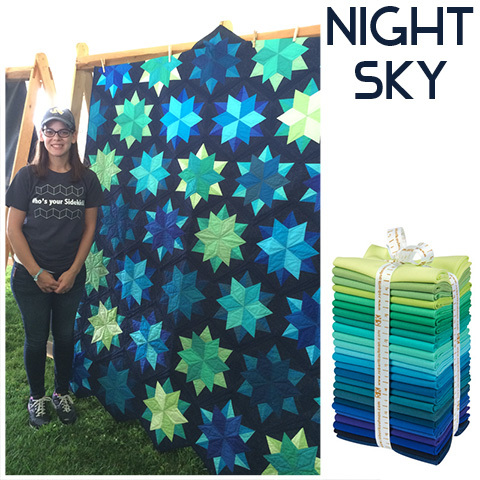 I also made this twin size Night Sky quilt with my Sidekick Ruler and the Fat Quarter Bundle. The background & binding fabric is Kona Storm. It was also quilted by Angela. You can find the fat quarter bundle and roll up at Hawthorne Threads. The charm squares and ten squares will be available soon. Ready for a giveaway? 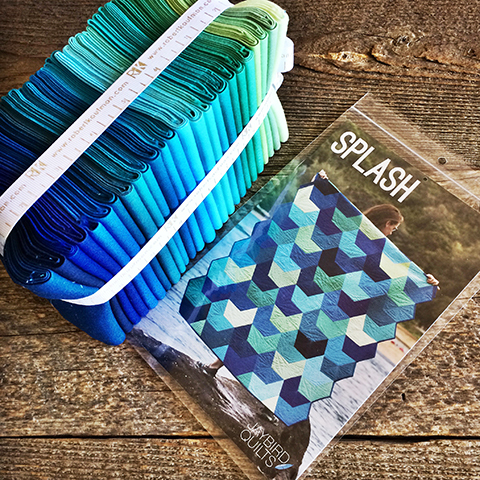 One lucky winner will receive my Fat Quarter bundle + my Splash pattern. 2. 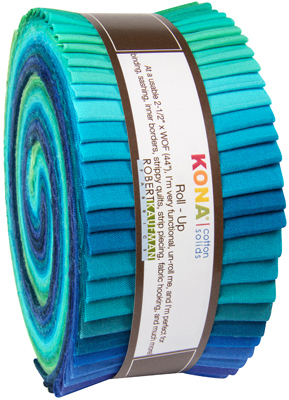 In your comment tell us about which Kona cotton color from the bundle is your favorite of the bunch. You have till 5PM PST on Monday, August 24th to enter. Good luck + thanks for stopping by today! CAPRI - though your blues & greens miss my favorites - peacock & cactus. Lagoon! I love this bundle! Thanks for a chance to win. Breakers is my favorite of the bundle! My favorite is lagoon! It's so bright and clean. Hard to pick just one! Hmm....I'll go with Oasis! I am loving Jamaica. The color is awesome, and so is the name:) Thanks for the giveaway. Love how all of these colors flow together. Lagoon has been my favorite for a while now. I'm partial to breakers. They are all beautiful! Thanks for the opportunity! My favorite is Celestial. Although Pacific would be a close second. Love these colors. Love pistachio! But all are beautiful. So hard to choose, they are all great, but if I must choose just one I choose Lagoon. Caribbean...take away to the Carribean! 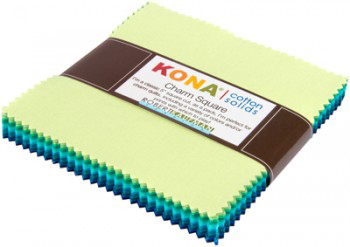 Kona Pistachio has now caught my eye as a new favourite - thanks to your beautiful quilts. It looks so wonderful with all those blues. Thanks for creating such an inspiring bundle of Kona colours and for the chance to win some. This was really a hard choice as all the colors are lovely. But, I choose Riviera as blue is my favorite color. Beautiful bundle. 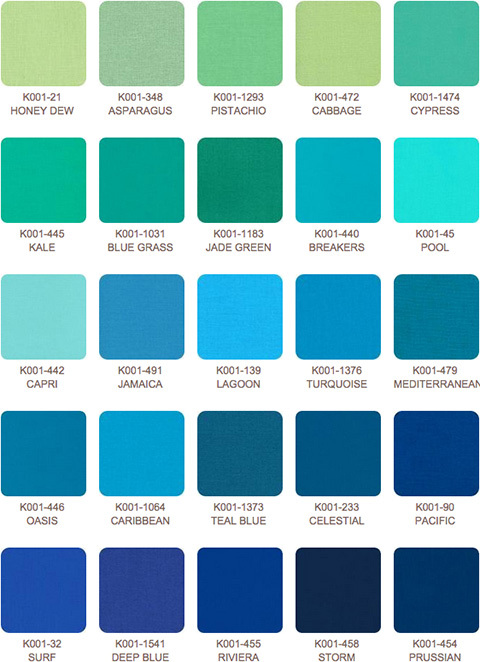 My favorite would either be pool or capri--I love aqua!! You chose some gorgeous colors for your wedding.....my favorite being Pool! Such a gorgeous bundle...Love Hawthorne Threads. I could see using all of these fabrics a ton, separately and together, but my favorite at the moment is Cabbage. One favorite??? Teal but I have to admit I have several. I love, love what you have done with this fabric. Splash is my favorite pattern...I think. You have really been busy! Beautiful job with the quilts. My favorite color is Caribbean. Lagoon is my favorite. Would love to win! The colors in this bundle are breath taking. Beautiful. I pick Cabbage as my favorite today. It's so difficult to pick just one favorite, but Capri is lovely. All the colors play so well together! I like how they all play so nicely together! Pistachio is my favorite. Surf is my favorite -- to me it's the loveliest of blue. Your palette is beautiful. Love them all. . . really! If I had to pick one. . . Riviara . . . not Jade Green. . no, Riviara :) This is an awesome bundle! Thank you for an awesome giveaway! They're all beautiful but I have to pick teal. My daughter's wedding dress is the same shade! I'm already thinking of ways to use all of these colors at the reception! Carribean. Was there in February and want to go back. Thanks for the chance! That's like asking which kind of chocolate is your favorite....not nice at all! But I do like that Storm and Prussian.... have to see and touch and pet to make sure which is the best! I love them all!!! But if I had to choose 1 favorite it would be Breakers. I would love to win this and if not I might just have to purchase it! Pool. I keep buying it, not remembering that I already have some in my stash. And I love it just as much every time, so no regrets. So neat! I think Lagoon is my favorite, for today. They look beautiful together. I love all things Kona. Of these, I love Honeydew, Capri and Prussian. I also love your rulers and patterns. Thanks for the giveaway. Cypress! Of course, they're all so gorgeous, especially all together like that. Thanks for the giveaway. Pool is my favorite until tomorrow when it will change to another color. How can you have a favorite with so many beautiful colors. What gorgeous colors! My favourite is Breakers. It is the perfect mix between green and blue. Julie...you are so generous!! I adore Cypress....and love Splash. I was thinking this as I was scrolling...then see what the giveaway is!!!! fingers and toes are crossed!!!! I will tell you, choosing a favorite amongst all of these beautiful blue colors is a tough one. My favorite choice today is Lagoon. But if you ask me tomorrow, it might be different. I can't wait to see all of this fabric together. And I love the patterns also. I would say Lagoon is my favorite. I'm about to paint my room that color! I like the majority of these blues - some not so much on their own, but in the mix they add what is needed for a good contrast. I am thinking that my favorite (so hard to choose) would be pacific. I learn so much from your patterns and color use. I just bought a bolt of the teal blue. I love how it works with so many other cost. Thanks! As already said many times - so hard to choose just one! But I am going to go with 'pool' as it reminds me of my wedding in Key West. From all the brightly painted houses to artists' wares to the ocean itself - I love it! I think if i had to choose, the jade green is my favourite! Great patterns! I have a hard time choosing a favorite between blue grass and surf! I love them all, but Pool just speaks to me. I don't know why, as I am not a swimmer!! I really love the entire palette, but have been putting a little turquoise in all my projects for fun! How can I choose just one??? I love them all, but this time I'm going to choose storm, as I love it as a background with everything else. My favorite is pacific even though they are all beautiful! Cabbage is my favorite. What a yummy bundle! Celestial! Though teal is a close second. Kona Lagoon is my fav. but who can resist any color Kona? Thanks for hosting such a fun giveaway. I love all the colors but Kale is pretty awesome. Can't wait to make something out of this. So gorgeous! Yep, yep, very difficult to choose just one! But, I choose Pool, as I want to jump into one right now. Fabulous colors! The pistachio is a really nice green! I love your wedding palette! Mediterranean is so peaceful, I think I could use a lot of this color in a quilt. Mediterranean is my favorite - what a great bundle! I think I like Lagoon too. Thanks for the entry. I like Honey Dew and Kona cottons are my go to for solids. Thank you for this give-a-way. I love the color Capri! Ha, today it is Oasis! So hard to chose just one color as a favorite... I do really like Kale. I love cabbage! Such a great bundle! What wonderful colors. My very favorite color has always been Aqua/Turquoise!!! I love Lagoon. I love all those colors but Celestial might be my favorite. I love Carribean. It's a beautiful color. BREAKERS. Sure would love to win this bundle. What a gorgeous bundle! My favourite colour is Prussian. This is like asking which pattern of your is my favourite! I can't decide! For the moment, I'll go with Cabbage. The whole bundle is just gorgeous. I have a bit of Cypress and I love it; I want to try Piol or Capri. And I love your Night Sky with the Storm background. Just heavenly! Lagoon is my all-time favorite. I love your work! Lagoon is my favorite of your colors. I have replenished it in my stash several times. 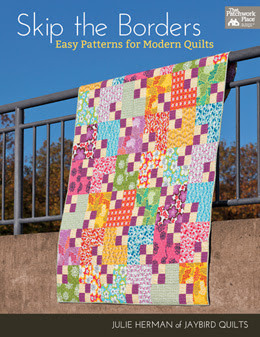 Love the quilts in this palette. Toes in the Sand would look smashing in this too. I absolutely love blue. Stunning Colors, all of them! But Lagoon is my favorite! THank you for the Chance to win!! It's all about the Jade Green for me, I absolutely love it! Just ONE favorite color? Ooh, that's tough! Love Lagoon though! Thanks for the giveaway! Mediterranean is my favourite but they're all beautiful. 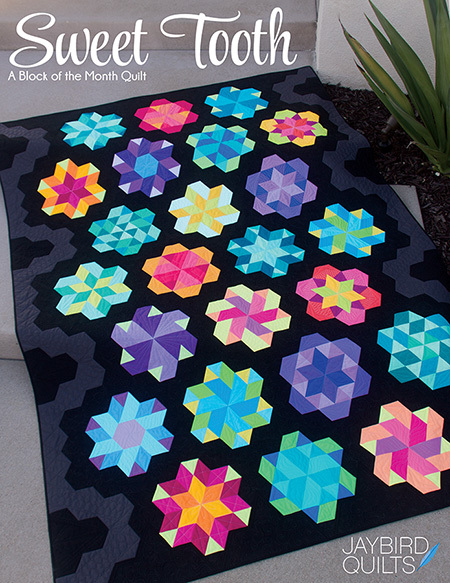 All your creations are wonderful and made even better by Angela's stunning quilting! Storm would work well with something I have in mind right now. Thanks for the chance to win! I love the whole color palette but that Pistachio is looking really yummy! Love the Stereo pattern also! Thanks for a great giveaway! Mediterranean is my fav! Beautiful quilts too. I love the stars! I hate having to choose favorites! Deep blue is my favourite kona colour. Your bundle is gorgeous! Thanks for the chance to win. Wow. I think breakers would be my favorite because I love the ocean. 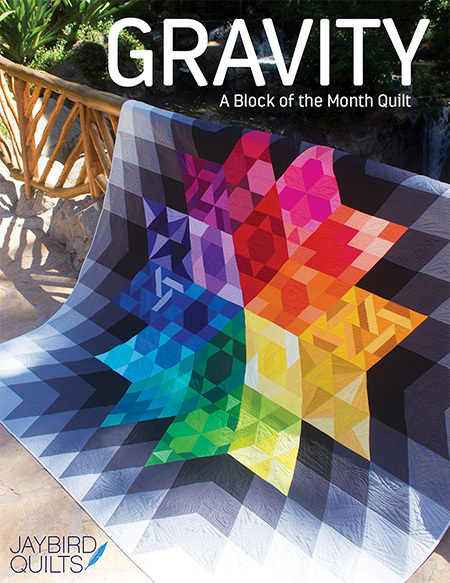 Beautiful quilts and amazing giveaway. 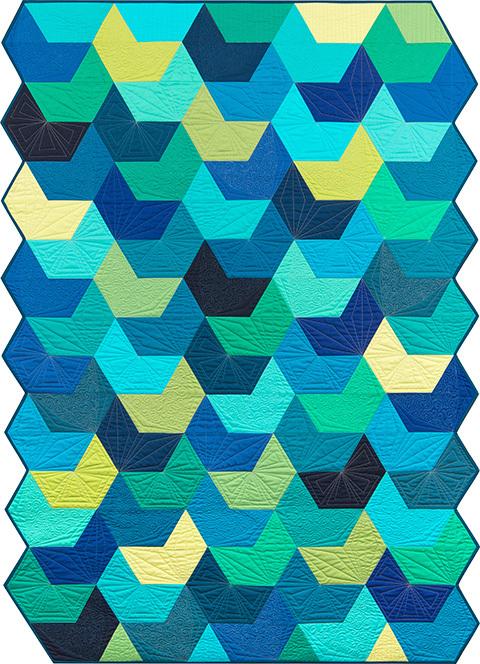 It is a toss up between Celestial and Breakers as a favorite in this bundle. All of your choices play nice together. Caribbean for sure!!!!! They are all SO vibrant! Oasis...but really any of the blue greens! This has been my favorite color combination since I was a child and my mother told me they didn't go together...now she likes them as much as I do. I just love, love your Splash pattern done up in your wedding colours! My favourite Kona mentioned above is: Lagoon! 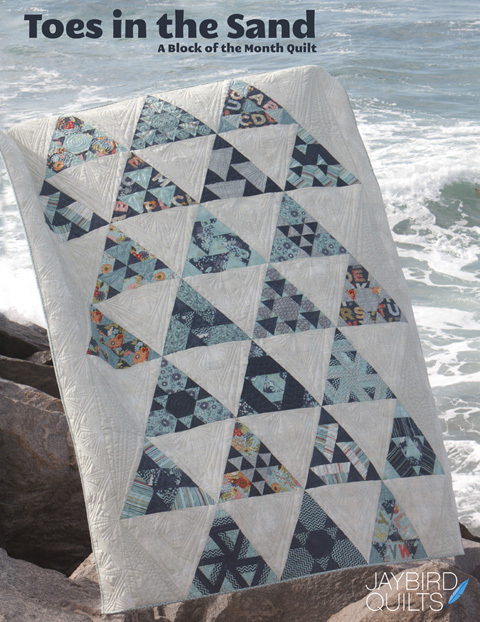 These quilts are so beautiful! Got to get back to my work in progress! Thanks for the inspiration! Kale is an unusual and beautiful color. This was a hard choice as they all are beautiful. Pool takes my eye. Looks like I'm going to have to break my resolve to not buy anymore fabric. Love the combination. Awesome Julie! Oh my gosh, reminds me of the ocean, so serene and beautiful. 1 - you're kidding, right? Pool as that's where I'd like to be but Kale is pulling, so is Riviera, and the Pistachio. I really would like to win the bundle. Thanks! Today it's surf. Tomorrow it might be teal. :) I love them all! I love all these colors but cypress is my favorite! Reminds me of sunny days at the beach. Ahhhh. Love the colour Lagoon. Thanks for the giveaway. My favorite Kona from your bundle is Mediterranean. It was hard to just pick one. My favorite color is green but each colors is made more beautiful by what is next to it. In this case they all play so well together it would be difficult to choose one as a favorite. I LOVE them all together. LOVE your new color bundle! They're all gorgeous and look great together, but if I have to pick just one, my favorite color is KALE. I love all your work and especially this color pallette. I have to say that Capri is my favorite but ALL the colors are beautiful as I am very inclined towards blues. 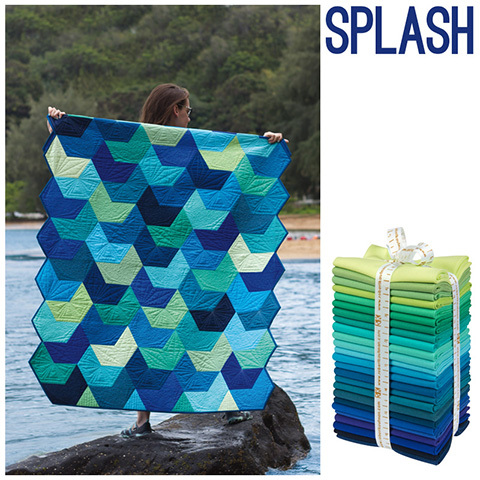 The SPLASH quilt is gorgeous.Thanks for the chance. Love the ocean - Gotta go with Caribbean! It's really hard to choose one favorite color! I am going to say that my favorite is Jamaica. 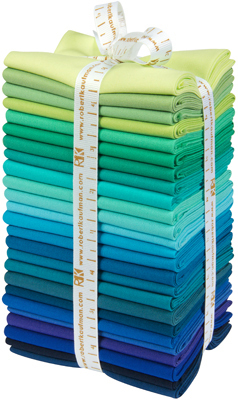 Lagoon is my favorite, when they added that color, I had to buy several yards. Your color choices are so pretty, Julie. Thanks for sharing all this beauty with us. I especially love the photos, taken at the beach, of you and your quilts. I have been waiting for your wedding colorway to come out. I don't think I could pick one color to like. I love them all. I would love to see these colors made up in the night sky which I have the pattern and I believe the rulers. 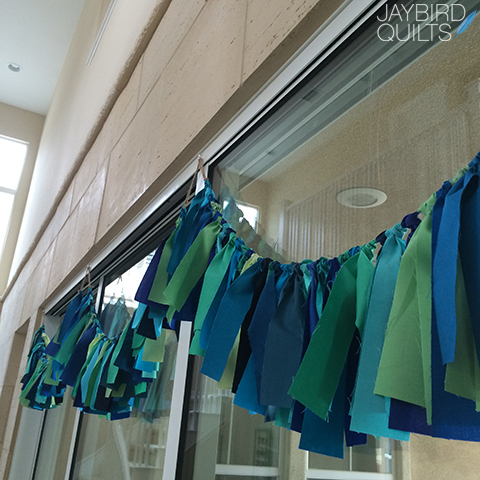 My favorite cuts are fat quarters and then 1/2 yards. You inspire me so much. Picking a color was really hard, I love all! But here it is Riviera. Also, love the Splash pattern. Kona Jade is my favorite! Love Love this new collection. 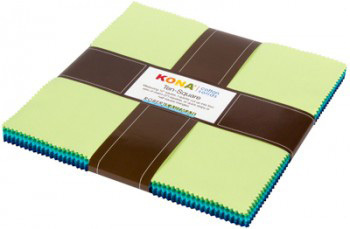 So hard to choose a favorite from this beautiful bundle of Kona colors. I would have to say Surf is my favorite. Thank you for the chance to win this awesome bundle. Just one??? Lagoon. But, this is one of my all-time favorite color groupings. The colors are all so beautiful, but I believe POOL is my favorite. It makes me just want to go find a swimming pool and jump in. I love your patterns. I love blues and greens together. My favorites are Bluegrass and Oasis. Thank you for the opportunity. I love asparagus! Enough said! Thank you! Love Lagoon! It goes with anything and everything and I just adore that color! Thanks so much! Cypress is my favorite. All are so pretty. My favorite is pool. But all colors together are beautiful! I love them all, but think Capri is my favorite. The entire bundle is absolutely beautiful!! Love these cool colors. Capri is my favorite. I love Capri the best but they are all my go to palette. Teal blue is my favourite, but it is the saturated effect of them all together that makes them so wonderful. Wow, it is really hard to choose just one,much gorgeous colors. But, I am going to go with Breakers. I think Capri might be my favorite. Thanks for the giveaway. Capri matches colors in my Park Bench quilt. Hoping it's a winner again! I love the pack that starts with Capri....but there all so pretty. Such a pretty bundle! My favorite is probably pool. Thanks for the giveaway. I like the deeper blues so my favorite is the Pacific. I love all blue though so would love to win. My profile shows me at gmail, but I also get mail at susmelvin@comcast.net. I am wanting to make splash!!! I love these colors. Thanks for such great patterns and ideas. I was just looking at this bundle the other day at Fat Quarter Shop. I love Kona Pool. Love these colors. My favorite is Kona Lagoon. It's hard to pick since my favorite color is blue, any blue, but Lagoon is right in the middle. Thank you for your great rulers to work with and a chance to win such luscious fabric. This question is way too hard! Gun to my head I'd say Asparagus. wow it's a difficult choice as these are what I think of as my colors. I love them all. If I have to choose one though I guess I'd pick caribbean. 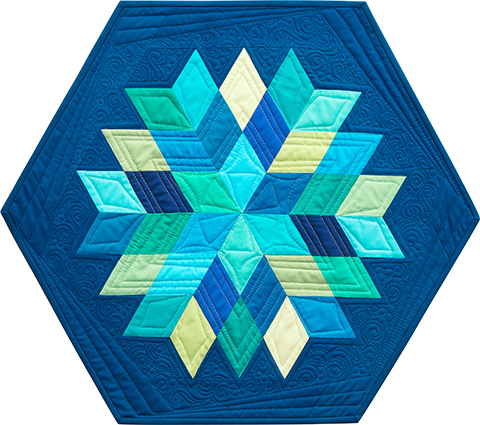 I so love blues and teals. What a beautiful soothing colour palette. Lagoon would be my choice if I had to pick one. Thanks for the giveaway. Love 'em all but I'm really fond of Caribbean! What a fun giveaway! I am partial to blues, and choose Surf. It was difficult to pick just one! I love the color "pool." It is so fresh and bright! And I agree with so many others...it is hard to pick just one! I would have to choose Surf but Lagoon is a close runner up. Breakers is my favorite! I also love the teal ....thanks for an incredibly great give away! 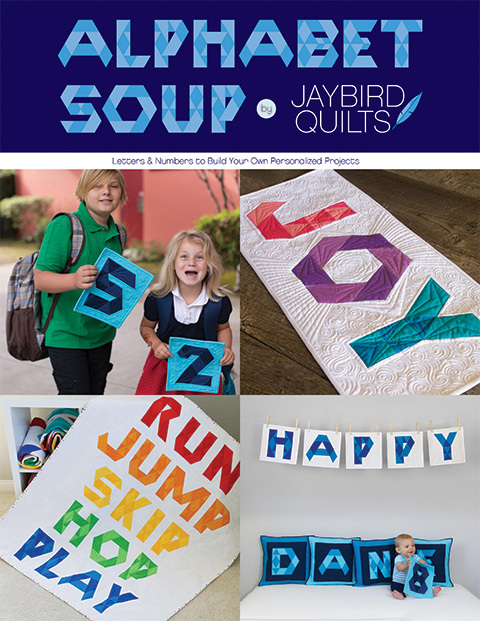 Your quilts and tutorials are really wonderful. Pool - Actually I love the whole bundle. OMG! The colors are fabulous! I can't even say which is my favorite. I love them all. I think Pistachio is my favorite, at least for today! How can you pick one colour. I can't. Like you I have loved this colour way for many many years. Congratulations on the bundles, just beautiful. Capri, Lagoon, Jade Green? I can't decide what is my favorite color. Looove Lagoon!!! It reminds me of a beautiful sky. The Capri color has been my favorite since I was a child. I hope I win!!!! My email is ldladner at bellsouth dot net. I love dark blues so Storm is my favorite! thank you! Love the Kona Celestial! I'm doing your mini quilts-so much fun. The binding tutorial really helped on those tiny angles! Thanks! Not sure if if you have contact info. Queenp51@sbcglobal.net.